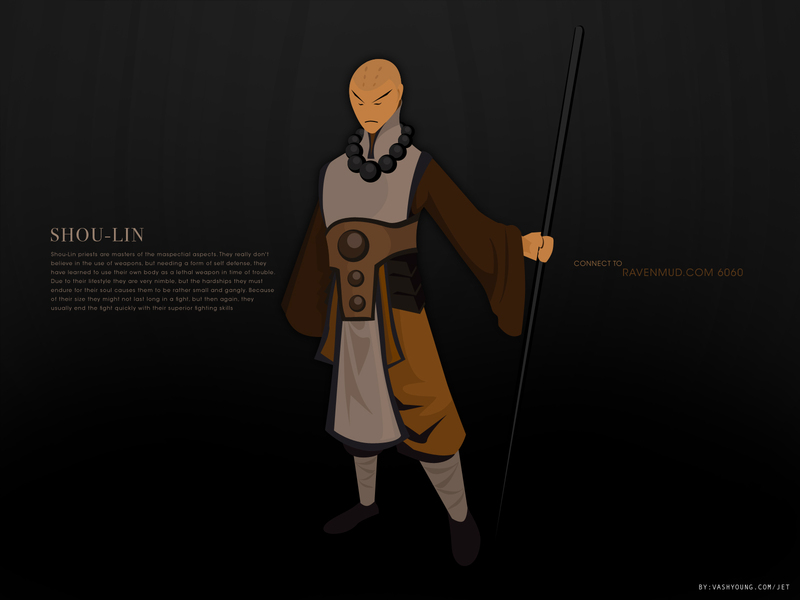 Shou-Lin priests are masters of the maspectial aspects. They really don’t believe in the use of weapons, but needing a form of self defense, they have learned to use their own body as a lethal weapon in time of trouble. Due to their lifestyle they are very nimble, but the hardships they must endure for their soul causes them to be rather small and gangly. Because of their size they might not last long in a fight, but then again, they usually end the fight quickly with their superior fighting skills.